Brief Synopsis – An investigative reporter tries to uncover information about the death of her niece and it leads to evidence of a videotape that causes one to die 7 days after viewing it. My Take on it – As a movie lover who isn’t a fan of horror films, I decided last year to venture more often into the uncomfortable areas of film for me. That’s the main reason that I decided to add this film as one of my picks in this series since I had heard it was such a great horror film. As a fan of movies themselves, I was intrigued by the overall premise of this film that weighs heavily on film making and film watching. It manages to work on some levels yet fails on some others which was a bit disappointing. Naomi Watts is a great actress and she does a nice job in this film since she finds a way to make the viewer care about her character because she comes across as being quite an interesting character. One of the reason that I’m not the biggest fan of horror probably has to do with the fact that I prefer movies that explain things to us through the plot and this film keeps things overly mysterious throughout which I found a bit annoying. Horror films love keeping many things ambiguous and unexplained and that can be quite frustrating for people like me. I can completely understand how this film can be seen as a cult classic and how it might appeal to fan of the horror genre, but I personally found it to not be very exciting or thrilling and just average. Bottom Line – Very intriguing premise that works on some levels but fails on others. Watts is fine in the lead and she makes her character interesting enough that we want to care about her. The mysterious way that they explain things here is a bit annoying for me since I want things to be much more clear cut in a movie. This probably is one of the main reasons that I steer clear of most films of the genre, because too much is always left unexplained. I can understand the appeal to horror fans and also why this could be considered a cult classic, but I had a lot of trouble enjoying it. A horror film, what is going on? I would disagree with it being a cult classic, its considered one of the better horror films. The biggest problem, even I had with this film is knowing the final shock, the television scene was so effective when it first happened, but the technology boom has aged the scare badly. 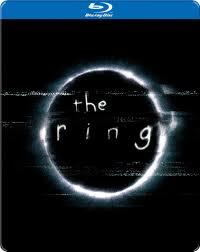 Just wait till you see ‘Rings’ which i guess you never will lol. This movie scared the life out of me when I saw it in the theatre and I have never been brave enough to watch it again.